This image of a green tea pot comes from this year’s Maker Faire SF. It evokes that green tea feeling! 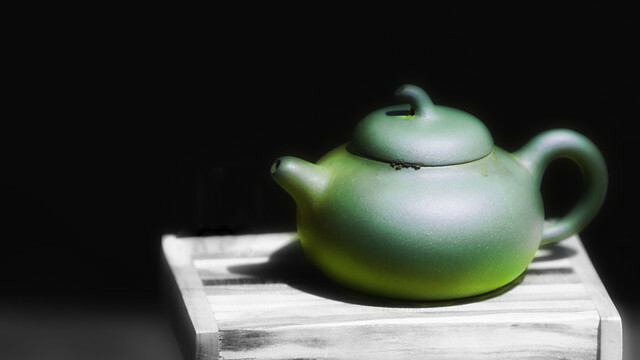 Shot with my Canon 5D Mark II, cropped to a 16:9 ratio and then tweaked in Photoshop using a few Nik filters with the use of selective coloring to just bring out the beautiful color of the green tea pot. Previous PostPrevious Youthful Exuberance in the Stanford Quad!